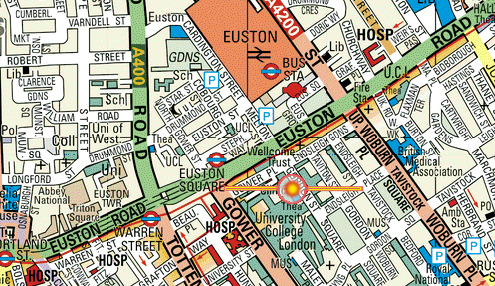 The UCL Bloomsbury opened in 1968 and is owned and funded by University College London. It's a campus-based theatre with 550 seats, just ten minutes walk from Shaftesbury Avenue. With its relaxed atmosphere and stunning auditorium, The Bloomsbury has gained a reputation in a number of fields, from small-scale opera work to stand-up comedy and rock. Fans attending are listed here. Gary Brooker's brief words to the website just before the show. 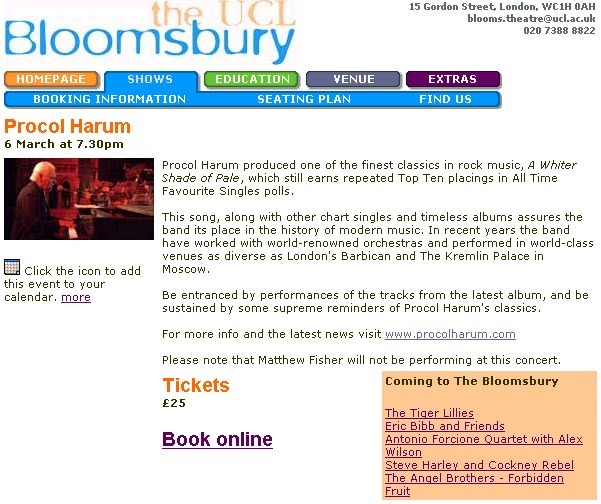 Procol Harum concerts in 2005: index page Procol fans attending are listed here.